What Can Happen If My Creditors Sue Me On Debts That I Owe? If your creditors sue you, they will surely be awarded a judgment in their favor. Once they have a judgment in hand, they can move towards things like a wage garnishment, bank levy, or even the placement of a lien against your home. When you fall behind on your debts, the creditor will undoubtedly begin demanding that you come current. This will include a number of phone calls each day, nasty letters, and perhaps even a call made to you place of work. If these efforts to collect do not bear fruit, then the creditor will move towards a lawsuit against you for breach of contract. Procedurally, whenever a lawsuit is filed (breach of contract included), the filing party must make sure that the non-filing party is served with a summons. This is done by hiring a process server who usually comes to your home or job to hand deliver the documents. Receipt of the summons is considered to be your notice of the hearing for the breach of contract. Obviously, you have an opportunity to show up and make an argument in front of the judge. But there is a very good likelihood that you will not win (unless you can show that you do not owe the debt alleged, or that you have already paid the debt in full). With a judgment in hand, the creditor can immediately move towards a garnishment of your wages. The highest amount that can be withheld from any given paycheck is 25% of your net (after taxes) earnings. Or if you can rightfully claim head-of-household status, that amount drops down to 10%. In addition, the creditor may seek a bank levy. This device freezes your checking account, making it impossible for you to access any of the funds therein. Or, in rare cases, the creditor will place a lien against your home in the amount that you owe. This has the effect of a “mini” mortgage, because if you attempt to sell your home thereafter, this lien will have to be paid along with your regular mortgage. Of course, all of the above mentioned tactics are eliminated upon the filing of a St. Louis bankruptcy. Whether it is a St. Louis Chapter 7 or a St. Louis Chapter 13, all wage garnishments, bank levies, and judicial liens end once the bankruptcy petition is filed. 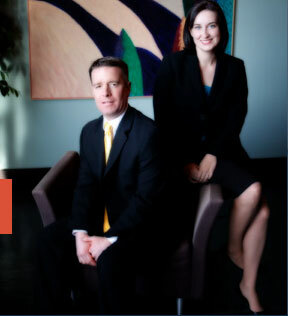 The affordable St. Louis bankruptcy attorneys at Brinkman & Alter, LLC have been making sure that all creditor activity against our clients ceases for over ten (10) years. Our goal is to ensure that your debts are discharged, you keep the assets you want to retain, and your stress level is tremendously reduced. We have two offices for your convenience: in the Central West End, at 1 North Taylor, St. Louis, MO 63108; and in the Twin Cities of Festus / Crystal City, at 1000 Truman Blvd (Highway 61/67) 63019. The initial consultation is free of charge. So call today to learn more! !